Cycling across Europe from Greece to England was a bike tour that I completed in 2016. 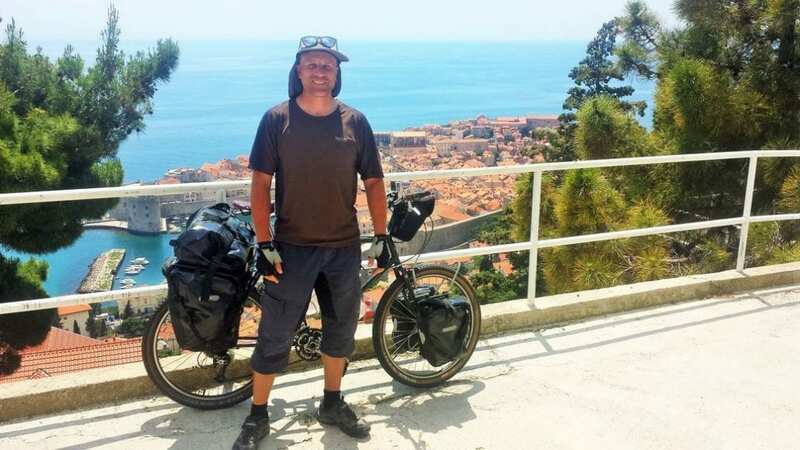 It took two and a half months to pedal from Greece to England, passing through 11 countries along the way. Here's a brief summary of the bicycle tour across Europe. I should start this blog post about cycling across Europe, by thanking everyone who followed my journey. I really appreciate all the comments I received on my YouTube channel, Facebook page, and Instagram account. It certainly added another element of fun to the adventure! 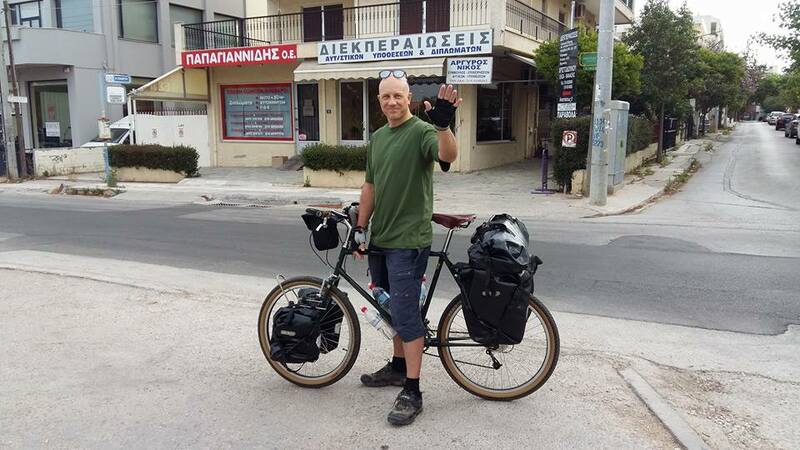 My bicycle tour across Europe began in Athens, Greece, and then headed north towards the UK. Typically speaking, most people planning a cycling trip in Europe choose to cycle in the other direction. Athens is where I live though, and so basically I started from my doorstep! Riding in the other direction, so to speak, had some advantages. Firstly, it meant that I would arrive in northern Europe when the weather was better. Secondly, I would get to see more cyclists coming in the other direction. In fact, I was pleasantly surprised on how many people were cycling across Europe. I met a few along the way, and stopped for a chat whenever I could. Lastly, It also felt fitting that I should cycle from my new home in Athens to the place I was born, which is Northampton in England. Like it was connecting the dots, almost. After leaving Greece, my route took me through the Balkans on the Adriatic Coast side. I cycled through Albania, Montenegro, and Croatia, sticking mainly to the coastline. I even spent one day in Bosnia-Herzegovina, but I'm not sure that completely counts as cycling through the country. At least I can say I have been there! After leaving Croatia, I then made my way through Slovenia and Austria to Bratislava in Slovakia. Once there, it was time for a 10 day break, where I did some sightseeing in Bratislava and Budapest. When it was time to resume cycling through Europe, I then made my way across Austria, Germany, and France to England. My journey finished in Northampton. The cycling trip across Europe took me two and a half months. Although I haven't totalled up the kilometres yet, I believe it is in excess of 2500. I will write another blog post in a week or two, which will include the total kilometres as well as how much I spent during the trip. If you are interested, you can check out my bicycle touring budgets for May and June. Accommodation wise, I calculated it was roughly 60% camping to 40% other accommodation. In some countries, particularly the Balkans, I found it cheaper to stay in hotel rooms at 10 Euros a night, rather than campsites! Crazy, I know. I did get camping for 5 Euros a night on a couple of occasions. In Albania, my hosts even bought me a coffee, water and some sweets on arrival! You can find out more here – Bicycle touring in Albania. Many people have asked me why I like bicycle touring. The simple answer, is that it is a beautiful way to travel. It has no impact on the environment, and you get to see a lot more of the countries that you are travelling through. 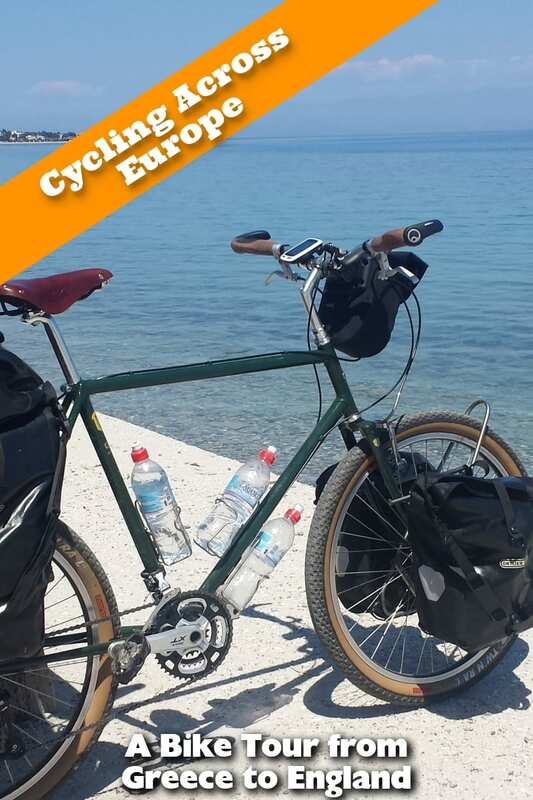 This recent bicycle tour across Europe was no exception, and I found it interesting comparing the different countries. There is certainly a big difference between the Balkan approach to life, and the northern European attitude! Personally, I prefer the Balkan approach! In terms of blogging, I decided to do things a little differently on this trip. This was my first experiment in vlogging, and I made a vlog a day during the cycling trip. It was a massive learning curve, and to be honest I think I over-committed by saying I would do a vlog a day. On future trips I will just release one vlog a week. I think this is far more practical considering the time that it takes. Still, I am happy with the results that I got, and I've included a sample vlog below. So what does the future hold now for Dave? I am back in Athens, and starting work again on my freelance writing and travel blogging projects. Some of that will include writing about cycling across Europe of course. I hope to produce some bicycle touring blog posts about cycling in the different countries I passed through, as well as other insights from the road. I also have a number of other trips planned during the year, with the next one being a 2 week road trip in Crete. So, be sure to bookmark the blog, or sign up for the newsletter if you are interested in following along! Once again, I would like to take the opportunity to thank everyone who followed my journey cycling across Europe. Thank you for taking the time and effort to share all the invaluable info about your trips. I’m flying to Dubrovnik on August the 14’th to start pedalling back to Sweden. I found your website the other day and I will literally follow your tracks through Croatia and Slovenia. Wishing you happy tailwinds for your journey back to Sweden! Yes, Big Berry is very much out of my budget as well! haha. It was a nice experience, but glad I didn’t have to pay for it! You’ve got some lovely cycling ahead of you. Hope you have a wonderful time! I’m planning on cycling from Athens to Prague next spring. I have planned on going up through Macedonia (North?) and then cutting over to Budapest and then over to Prague. However, your route is also interesting. Do you have any gpx files of your route that I could load into my garmin? 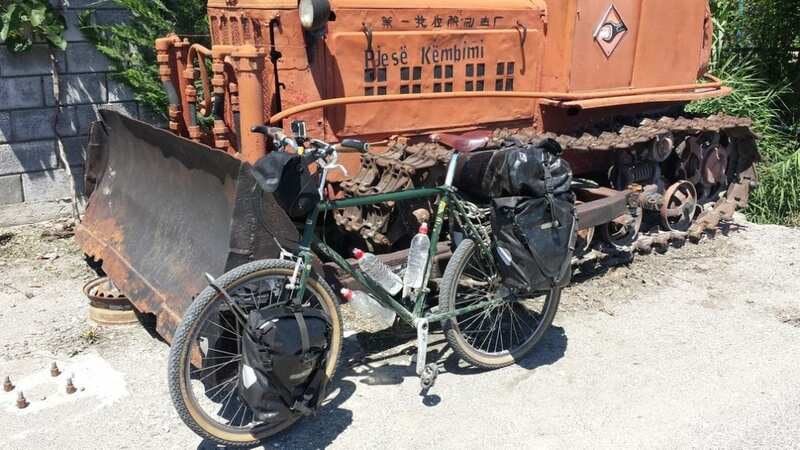 This sounds like a fantastic bike tour! I think if you went up through Albania and then over to North Macedonia you’d enjoy cycling in Albania as well. I’m afraid I don’t have the GPX. I did have the routes displayed on my website, but Garmin Connect let me down. A long way of doing it, but if you look at the vlogs for the bike tour you might be able to determine my route through the various stages on Google maps. Happy tailwinds on your tour! I’ve made a solid plan for my route through Greece now. That would be great, I come to Athens in the first week of May. I am attempting a very similar trip this summer! I’m flying out to Athens then cycling home to Bristol. 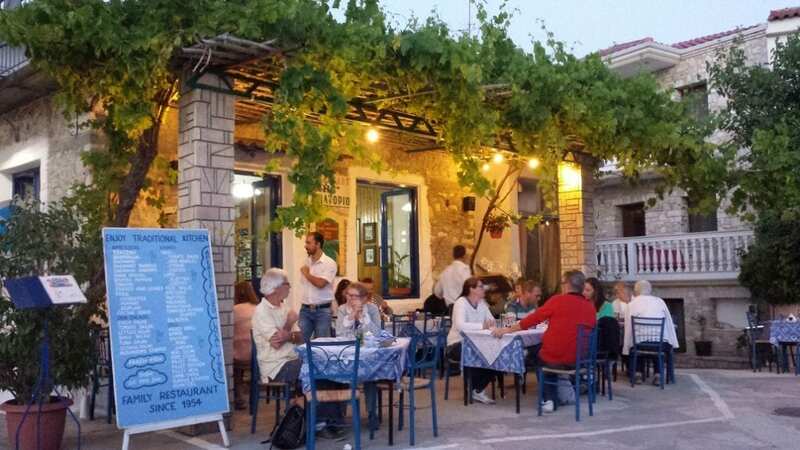 I’m keen on seeing as much as I can in Greece along the way, could you please recommend a basic route from athens to Albania that I could follow? Your website has been so helpful in planning, and the vlogs on YouTube have helped a lot too! Great to hear you are going cycle this route. There’s tonnes of different options you could add in. If you really want to see some of Greece along the way, let me suggest the following (r=archaeological site). Open up google maps in another tab, and lets go!! Athens – Corinth (r) – Epidaurus (r)- Nafplion – Mycenae (r) – Patras – Nafpaktos – Delphi (r) – Karditsa – Trikala – Meteora – Ioannina – And then get back onto the route I took. Even then, this route misses out Olympia and Thessaloniki, but it gives you something to come back for! I hope this is of some help! Give me a shout when you are in Athens, and if I am around, we can meet up for a coffee! Looks an amazing trip, very impressed! I’ve been up the Adriatic coast but unfortunately not on a bike yet, definitely added to my bucket list. Well done Mate. How did you secure your bike whilst camping? I know it’s poor to consider this but it’s always been a concern when I travel and good bike locks are pretty heavy! What you are doing is very cool! How cool to travel from your new home to where you were born! What an incredible journey. And congrats on your new vlogging adventure! Wow Dave, what an incredible journey! I’ve taken many trips to Europe, but I’m always flying or taking a train between cities. Int would be nice to slow down a bit like you did on this trip. There is so much more to see than the city squares. Biking along the coastline probably gives you amazing views! 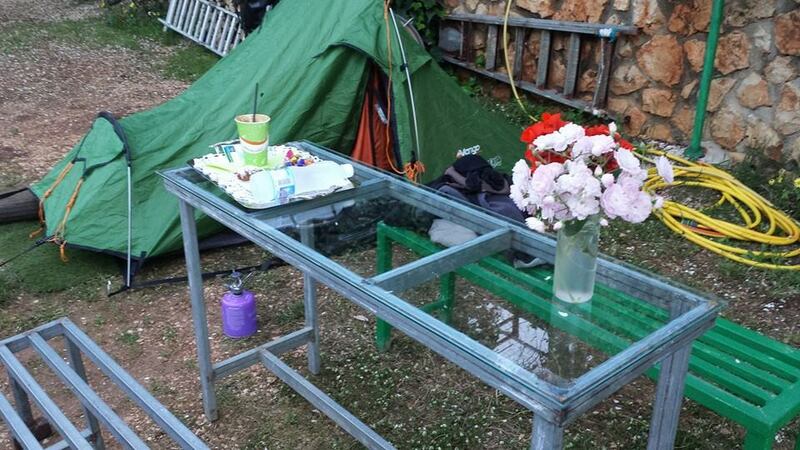 Indeed, sometimes on the Balkans the camping with tents is more expensive than cabins in the same camping. Hi Dave. What a great adventure. Couldn’t even try it, since my biking skills aren’t that great. But enjoyed your post and vlog. Good luck for your next adventure! Awesome!! Good luck in cycling around Europe, Dave! 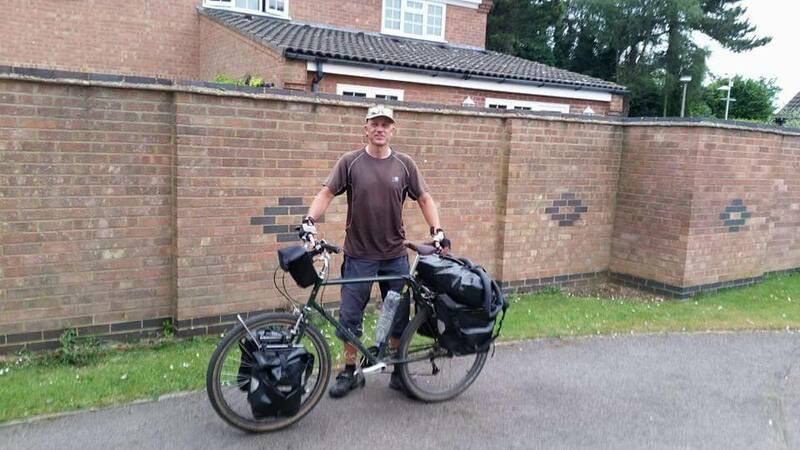 One of our writers is cycling around the world as well- he is now on his way to Asia from England.